Get into the pine forests of the Taurus Mountains and drive a buggy past villages, through trees, and by medieval ruins. 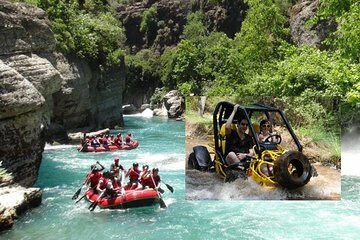 Enjoy a lunch by the water, then hop in a raft to ride through some exhilarating rapids. Transport and equipment is all provided, so focus instead on the mosques, mountains, and moving water.